Through my work with lots of clients, I have found that some ailments require intervention and combined therapies from practitioners outside of my areas expertise. Below you will find a directory of practitioners of whom I have personally experienced, endorsed and refer to. Many of these practitioners are part of the Holistic Health Connection – A Brisbane Practitioner Network that I helped to found. If you’re a practitioner interested in joining our group, please click here for more information. Description: Physical discomfort is often the end result of a stress, anxiety, fear or energy blockage emotionally, mentally or spiritually. Alive Radiant Therapies treatments combine remedial massage, therapeutic reflexology and other disciplines to guide patients on the path to achieving total body wellness. Description: Our mission is not only to alleviate pain, but to inspire and educate our clients to become active participants in their own well-being"
Paulette Walker graduated from Phillip Institute of Technology ( now R.M.I.T.) at the end of 1991. 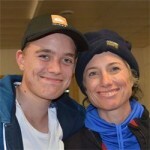 She has been practicing in Ashgrove since 1994. Besides being an excellent adjustor, one of her trademarks is her comprehensive knowledge and application of Sacro-Occipital Technique, a gentle technique that addresses organ and cranial dysfunction as well as spinal misalignment. Description: ATMS promotes and represents professional practitioners of natural medicine, who are encouraged to pursue the highest ideals of professionalism in their natural medicine practice and education. Description: Margit Radcliffe is a spiritual healer/hypnotherapist who assists clients to challenge and move beyond limiting beliefs, achieve optimal health, reduce stress and put into place life-enhancing beliefs that improve your quality of life, relationships and health. The information on our site aims to help people understand and manage their health and medical conditions. It does not replace care provided by medical practitioners and other qualified health professionals. 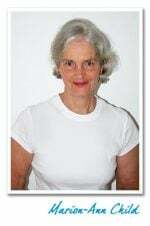 Description: Colleen Kelly's aim as a therapist is to assist in bringing my clients' bodies into balance so that they can achieve their optimal fitness and general wellbeing. She does this through the use of three main techniques: Emmett Technique, Bowen Therapy and various forms of Massage. 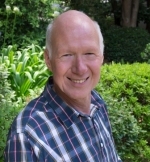 Lee Barnasson at Connect Hypnosis is a skilled and experienced clinical hypnotherapist, psychotherapist and TRE® Tension, Stress and Trauma Release practitioner, with over 20 years experience in supporting people to make positive changes and move forward in their lives. Description: East West Fertility provide a natural holistic approach to female and male fertility disorders using acupuncture and Chinese Herbal Medicine. East West Fertility offers treatment programs with no adverse side effects that are especially beneficial for female and male reproductive wellbeing. We are conveniently located 7 km from the Brisbane CBD. "If the diet is wrong medicine is of no use, if the diet is right medicine is of no need"
Kay is a qualified Ayurvedic Lifestyle Consultant and Therapist, who studied under the guidance of Dr Ajit Singh B.A.M.S. 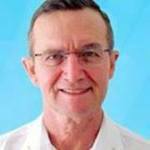 an Ayurvedic Doctor who has over 30 plus years of clinical and teaching experience. Description: HypnoBirthing® provides the missing link that allows women to use their natural instincts to bring about a safer, easier, more comfortable birthing. Emphasis is placed on pregnancy and childbirth, as well as on pre-birth parenting and the consciousness of the pre born baby. Description: Leading Marketing Solutions (LMS) is a consultancy working with mission based professionals and businesses assisting them to articulate their message, purpose and vision. LMS offers support and advice about marketing strategy and tactics including branding, web presence, marketing content creation video and client attraction strategies. -suffering with fears of illness or death. 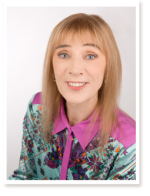 Karen can guide you into a past life and your life-between-lives where you find the answers to all your questions. Description: The team at Maple Chiropractic are focused on promoting a healthy and vibrant life through chiropractic care and optimal lifestyle choices. Description: Maverick minds is a creative consultancy that designs powerful and flexible learning experiences for a range of people and purposes. Description: Our elegant and tranquil salon in the heart of Paddington allows you to leave the reality of the city behind. Step into a world where your unique needs are met through skin and body care treatment with our qualified therapists. We nuture and care for our clients and offer treatments that will deliver results. Description: Nature Therapies offers you complimentary services that help heal and maintain health, regain life balance, and restore your spirit. Time-honoured natural therapies include acupuncture, sports injuries management, muscle and joint pain solutions, remedial massage, nutrition/diet services, life/business coaching and professional supervision. Our beautiful relaxing Brisbane massage clinic offers a perfect space to enjoy a massage tailored just to your needs. Description: NRCHI Bodywork is a natural therapies hub in the Ashgrove area, providing a diverse array of quality therapies that accomplish miracles on a daily basis. We are committed to assisting you to live your life goals, by balancing your health. Description: Paddington Chiropractic strives to enhance health and wellbeing by providing innovative, wholistic chiropractic and massage services within a caring family environment. Description: Optimum Health for You provides access to Muscle and Joint Pain relief. Emotions are held in the muscle and joint memories which can be releases through the Emmett Technique quickly. Paul's treatments bring immediate rejuvenation and vitality with connection to self. Description: We provide services and support to people experiencing (or at risk of) stress and mental illness in the perinatal period, and their family and friends. Description: Our team of health specialists approach health care from a ’whole person’ principle. Our aim is to offer a health and wellness program that provides TOTAL HEALTH CARE. We can help people with a wide range of symptoms and complaints. Description: Are you holding yourself back from being the person you deserve to be... Phil can help! 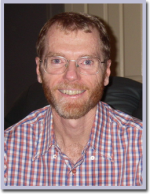 Phil Surtees is a doctor of Clinical Hypnotherapy and NLP who has a passion for helping people improve their lives. His passion is to help clients achieve incredible change through that hypnotherapy and neurolinguistic programming. Description: Liz Champtaloup from Potent Minds helps clients connect with the power of their subconscious mind and make powerful changes to their life, through the use of PSYCH-K® (Psychology and Kinesiology), Emotional Freedom Technique (also known as Tapping or EFT), Hypnotherapy, Personal Energy Clearing (Dowsing), Chinese Face Reading and Birth Date Reading (Branches of Ancient Chinese Medicine). Description: Pranic Healing corrects the energy imbalances underlying simple and complex disorders. It works by removing 'used up' or diseased' energy and replacing it with fresh vital energy called Prana. Description: Find a reflexology practitioner near you. Description: You will find here encouragement, hope, endless possibilities, support, friendship and lots of kindness and people to listen. Description: Santosha Yoga is a beautiful, tranquil space, created & served with love in the middle of Paddington, for you to explore the practice of Yoga and all that it has to offer. Description: It is my pleasure to introduce my new Studio Clinic to you in The Gap.Designed with your comfort in mind and offering Reiki, Remedial Massage and Beauty Essentials. I invite you to make an appointment soon. 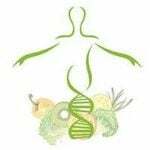 Description: Sharon Wilford Naturopathics applies a range of diagnostic assessments, natural therapies and wellness programs tailored to address your specific health needs. Description: The Work Well is a dynamic health-focused community where inner city dwellers can reconnect and revitalise mind, body and soul in the heart of Brisbane’s vibrant Paddington precinct. Bursting with vitality, The Work Well provides an abundant source of health and wellness services including body psychotherapy, career psychology, general practice, naturopathy, nutrition, osteopathy, psychology, relationship counselling, remedial massage, spiritual healing and sports nutrition. Description: At Toowong Private Hospital, our primary concern is the mental health and wellbeing of our inpatients, day patients and community patients. Our treatment programs are successful and our staff highly regarded in their chosen specialties. Andrea is NZ born Chinese, with 22yrs international experience successfully supporting hundreds of clients achieve very long term results mind, body & spirit in their professional and personal life. 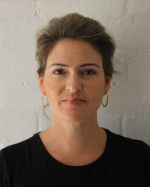 She’s one of the best Holistic Practitioners in Australia, and would love to support you too! Her passion is to teach simple, effective, practical relaxation techniques that you can do anywhere, and support every single human being to discover a "fresh, natural" approach to "Being Well, Happy & Abundant for Life", during all of lifes changes eg. financial loss or gain, death, birth, ageing, natural disasters, retirement, caring for aging parents, career changes, new direction etc. Her intuitive, calm, playful, creative, innovative approach to wellbeing and life will support you to feel more naturally relaxed, healthy, happy and authentically empowered for NOW or for LIFE! Description: Are you looking for a safe way to exercise, improve your health, strength, fitness, and flexibility? 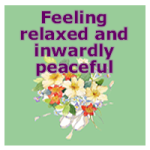 Do you need more calm, and joy and would you like to move with ease through your day? At YogaPlusPhysio we offer ways to help you find your way to better health in body and mind. We have a small studio which creates a boutique and personalised environment where your specific needs can be met. Description: Ritual HQ is a gym with locations in The Gap and Everton Hills, with a strong emphasis on assisting our members to achieve success through habitual training and healthy nutrition. Opening our doors in 2012 as Energize Fitness 24/7 serving The Gap, Ashgrove, Keperra, Upper Kedron and Bardon, we have evolved into something quite unique in the Western Suburbs of Brisbane.